After an amazing dinner at SUGARFISH, my friend, Nick, and I decided to grab a nightcap and happened upon Bar Toscana across the street in Brentwood. 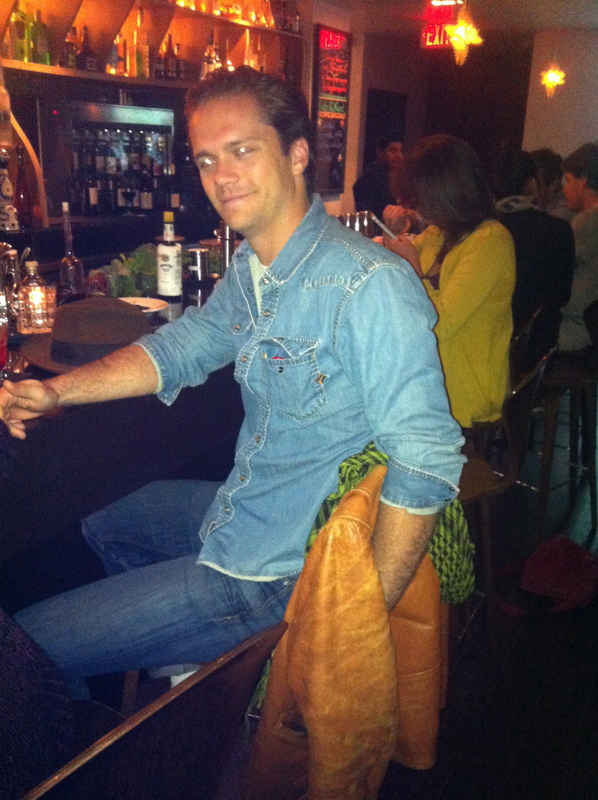 I knew it was going to be a great night when we snagged the last two seats at the bar next to this guy draped in denim. After a couple of incredible cocktails, handcrafted by some charming Italian mixologist, my new friend still wouldn’t let me post his name, but he did allow me to snap this photo of him in a Hurley denim shirt and Guess jeans. This entry was posted on Tuesday, November 13th, 2012 at 8:28 pm	and tagged with Bar Toscana, Brentwood, Canadian Tuxedo, Denim, Denim on Denim, double denim, Guess, Hurley, Los Angeles, SUGARFISH and posted in In The Wild. You can follow any responses to this entry through the RSS 2.0 feed.